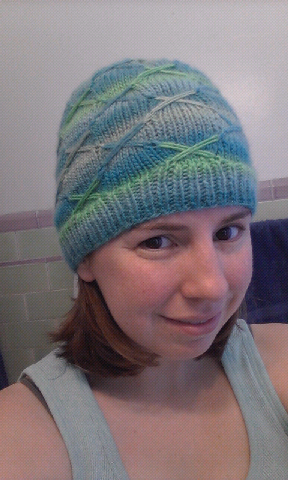 I love having the opportunity to test knit a project. 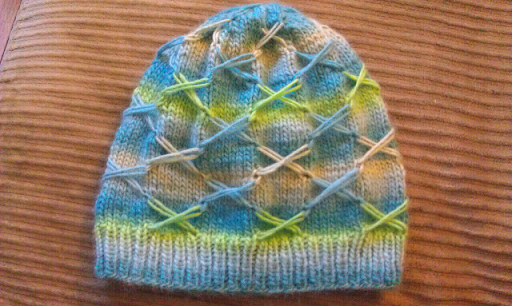 The Bisous hat is fast knit that looks more complex than it really is. The design was fantastic, and with a little editing, this became a really fantastic pattern. The pattern includes a full photo tutorial of the X technique. I asked the designer if I could knit the hat in a variegated yarn (KnitPicks Chroma in color Galapagos) and I'm glad that I did. 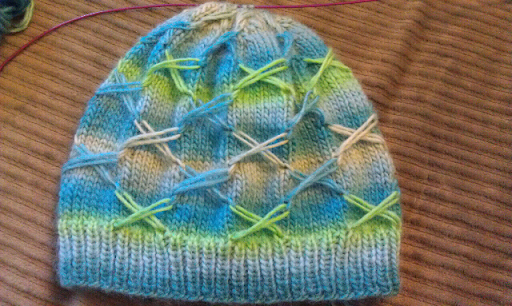 I love the way that the colors move up through the hat, making it more than just striped. The hat when it was just a little too short for my head. I'm thrilled to be on this designer's short list for testers now. 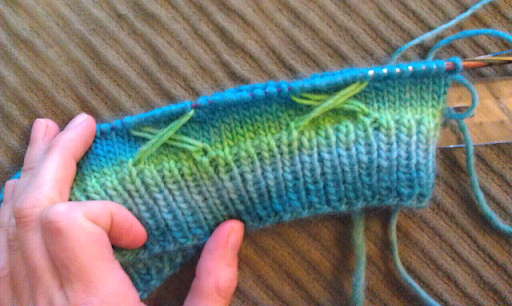 The only thing that makes me sad is that I haven't had any time to test knit recently. (I finished this project back in April.) I'm thrilled to have this pattern in my library, and I hope to explore smocking and criss-crosses more in the future. You know, it didn't look very appealing flat, but when you put it on, it made all the difference. Such an interesting pattern! May have to go on my to-do hat list now. 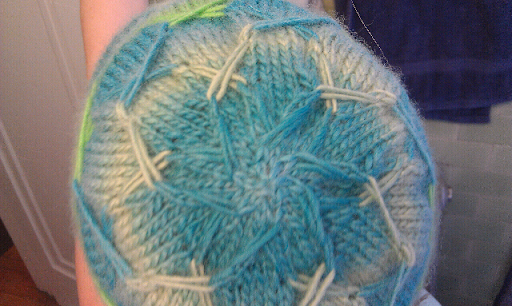 Reminds me of the flower pattern on Tree of Life Baby Throw which I made a few months ago. The 'leaves' look great on the hat!